Soprano Amanda Majeski returned to the Glyndebourne Festival as Eva in Wagner's Die Meistersinger von Nürnberg, opposite Gerald Finley as Hans Sachs. The handsome David McVicar production, in which Majeski had previously starred at the Lyric Opera of Chicago, also features Michael Schade, Jochen Kupfer, Alastair Miles, David Portillo, and Hanna Hipp. 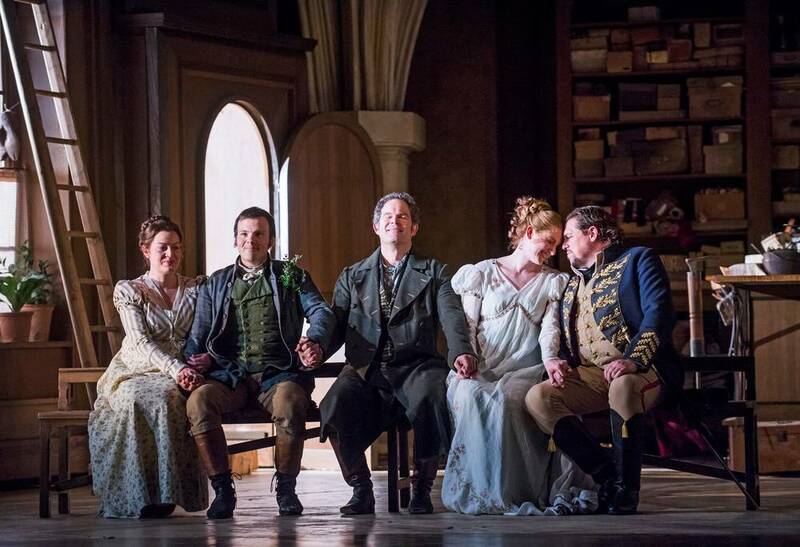 Performances run through June 27; tickets can be purchased via the Glyndebourne site. "Amanda Majeski’s ravishingly sung Eva radiates disembodied beauty under the cobbler-poet Sachs’s benediction." "Amanda Majeski is a lovely, silvery-voiced Eva." "Amanda Majeski (Eva) and Hanna Hipp (Magdalene) both demonstrated those qualities [passion and ardor] abundantly towards Walther and David as the respective objects of their romantic affections; indeed, vocally, they were very similar in tone and excellence." "Majeski’s voice has an inhaled ease to it, blooming with no obvious strain or overwork." "Amanda Majeski’s Eva fulfilled most of the promise which she had shown as the Countess in the 2013 Le nozze di Figaro, her touching intonation and unaffected stage presence ideal for Wagner’s ‘little Ev’chen’." "The American soprano Amanda Majeski was Eva. Reminiscent of Gundula Janowitz, she launched the quintet exquisitely and looked very pretty to boot."